The beautiful drone video “Greystone Rising” reverses the demolition of the monumental Greystone Park Psychiatric Hospital. Months after the demolition of the Greystone Park Psychiatric Hospital, one of the USA’s first mental hospitals, and one of the most significant places for the development of the modern psychiatry, a video taken by a drone winds back the clock on its demolition. 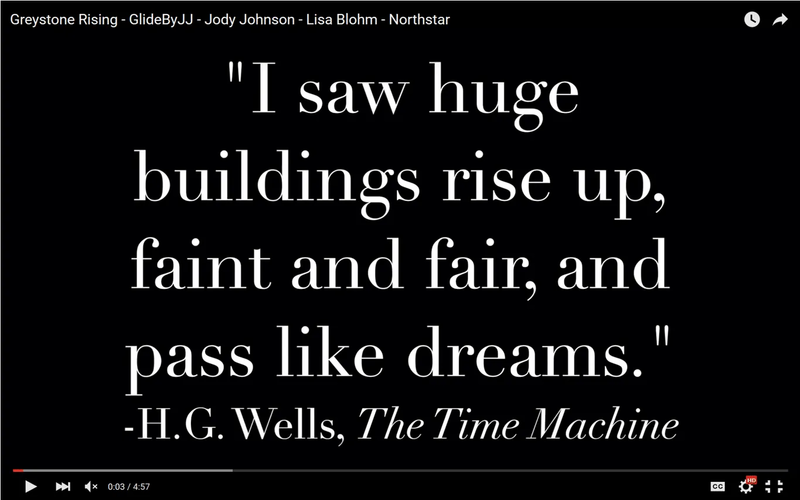 The video, “Greystone Rising”, has been created by Jody Johnson, who operates an aerial video company known as Glide By JJ, and edited by Lisa Blohm. It has been nominated to the Architecture category of the New York City Drone Film Festival taking place on March 2016. Jody grew up in the area and passed by Greystone countless times as a child. The idea of this video came to her when she flew over the building for fun. Upset by the final decision to demolish the building, and surprised by the amazing craftsmanship of the building, she decided then to document the demolition and the last moments of Greystone. The video, which has a particular historical-preservation value, shows a creative reverse of the demolition process, is the result of her handpicking clips from over 9 hours of drone video acquired during the demolition phase. Don’t miss the clip at 3m05s when the drone flies into the chapel. The power of the past of this building is haunting. Other videos by Johnson on the Kirkbride Building and the rest of the Greystone Park Psychiatric Hospital complex are available on GlideBy JJ’s Facebook page.